The Natures of the Inner and Outer Creations are presented and Explained. An Intelligent Design of Creation actually exists, and has recently been found proven in a startling way at the 3D level. The Intelligent Design of Creation is revealed in its totality in Starrgrams 24 - 36. As shown as Figure 92 in Starrgram 29, Figure 1 below depicts the cubistic matrix representing the seven dimensions of the Outer Creation. 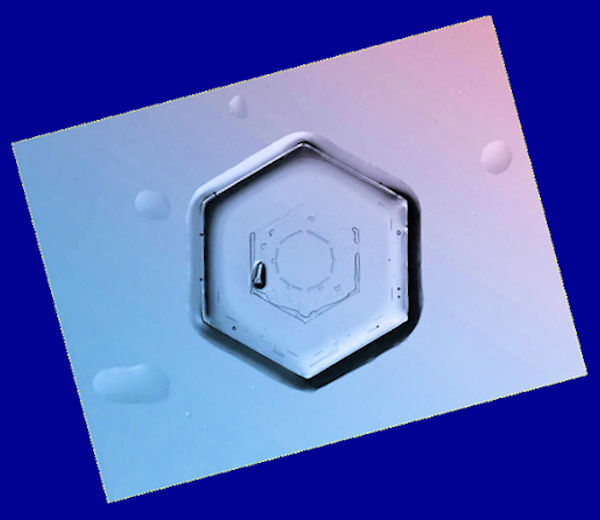 The figure was brought through as is in the winter of 2002 as part and parcel of the Intelligent Design of Creation's portion of the Revelatorium, In Figure 1, each distinct little yellow hexagon part is called a 'Cubit'. 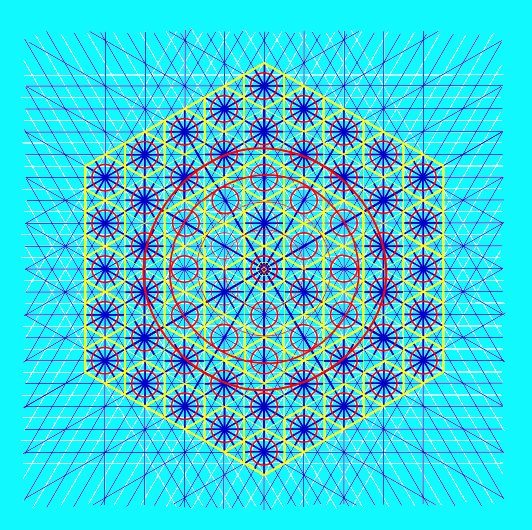 As detailed step by step in Starrgram 39, the outer yellow ring of twenty four cubits depicts the seventh dimension, the next inner darker ring of eighteen cubits depicts the sixth dimension, next yellow ring of twelve cubits inside that depicts the fifth dimension, and the conglomerate of seven different cubits tied together inside that represents the third an fthe fourth dimensions. Inside the center cubit the first and second dimensions are depicted together underneath that as the single busy little cubit in the middle. The materialization of the third and fourth dimensions is called Ordinary Matter Substance. The materialization of the fifth is called 'Morontia' Substance appearing together in common with Matter Substance as the Physical Universe seen by your telescopes. The fourth and fifth dimensional component are too high in frequency for your eyes to see. The materialization of the sixth dimension is diminished, depicted in Figure 1 as less yellow present. The materialization of the seventh is architectural, seen in Figure 1 as the stand alone outer yellow ring. Recently, third dimension outer world physical representations of the rulings have starting turning up in real life within the 3D outer world. 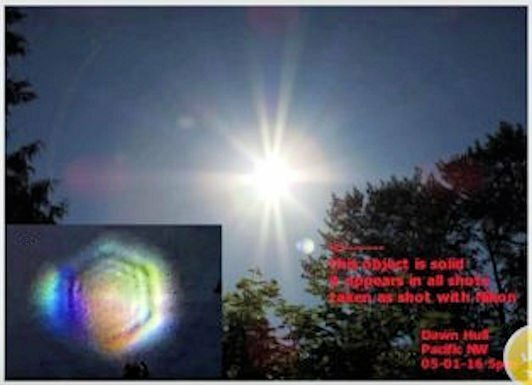 Figure 2 below is a blow up of a lens flare which appeared in a Nikon photograph of the sun taken in January of 2014 and was discovered on the Internet in May of 2016. A close comparison of Figures 1 and 2 will confirm that Figure 2 is very apt reflection of Figure 1, showing a stand alone outer yellow ring matching exactly the ring of Architectural Substance of Figure 1. The next ring is dark, matching the sixth dimension of diminished Substance. The next ring again is yellow representing the fifth dimensionality of Morontia Substance. Inside that is the third and fourth dimensional conglomerate of seven cubits tied together. Figure 3 below is the original photograph. The original flare is the small white spot at the five o'clock position in the photograph, originally thought to be Nibiru. 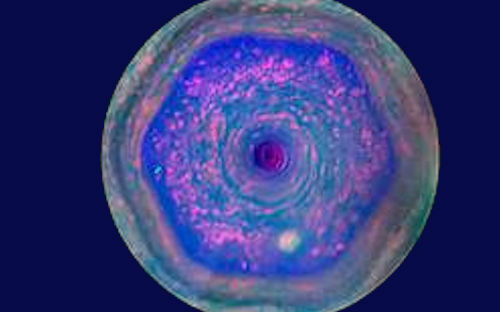 Figure 4 below is a very similar photograph taken of the hexagon at the North Pole of Saturn by NASA in early 2012 showing the exact same type of cubistic differentiation as Figures 1 and 2. This one is significant in that it clearly implies the first and second dimensional center cubit of Figure 1. Furthermore, Figure 5 below depicts the Cube and Sphere of Alpha and Omega taken from Starrgram 26. As revealed in Starrgram 26, the Cube and Sphere of Alpha and Omega is the first projection of the inner principles of the Holy Trinity manifested in outer form. It is both the progenitor mold for all Soul Atoms in Creation which have followed, and is the interface between the higher un-manifested frequencies of the Creators in the Fifteenth dimension and above, and their manifested frequencies in the thirteenth dimension and below. Specifically, as explained in Starrgram 26 the yellow portion is a Cube of Pure Substance. the red portion is a Sphere of Pure Intelligence, and the blue portions are Y Factors of Pure Energy. The Cube and Sphere comprises the entirety of the fourteenth dimension, is the cornerstone of the Intelligent Design, and is the progenitor of the Cubit of Figure 7 below from which all Creation has been blueprinted and expressed such as depicted in Figure 1 above. In two thousand and thirteen, interesting photographs of melted snowflakes were found on Google on the Internet. As Figure 6 below clearly reveals, the principles of the Cube, Sphere, and Y Factors are captured perfectly in the effect. Similarly, as further explained in Starrgram 26 the Cube and Sphere projected one dimension down produces the Cubit. 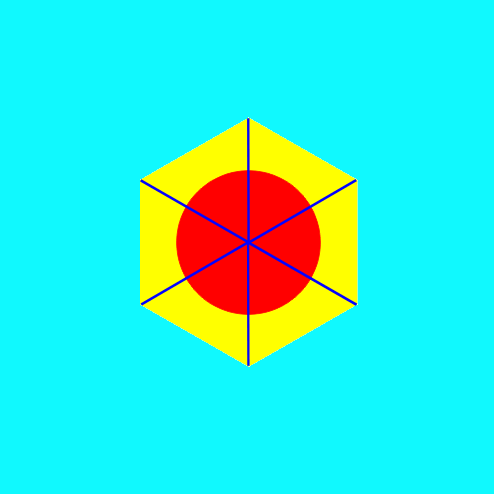 In the projection, the Cube becomes a hexagon cube of Substance, the Sphere becomes a circle of Intelligence, the Y Factors become flattened lines of Energy, and the Starr of David holding the circle and Intelligence together in perfect balance becomes visible. The projection is that you call a 'Cubit'. A cubit is not a 'Howlongisit' it is a 'Whatisit'. 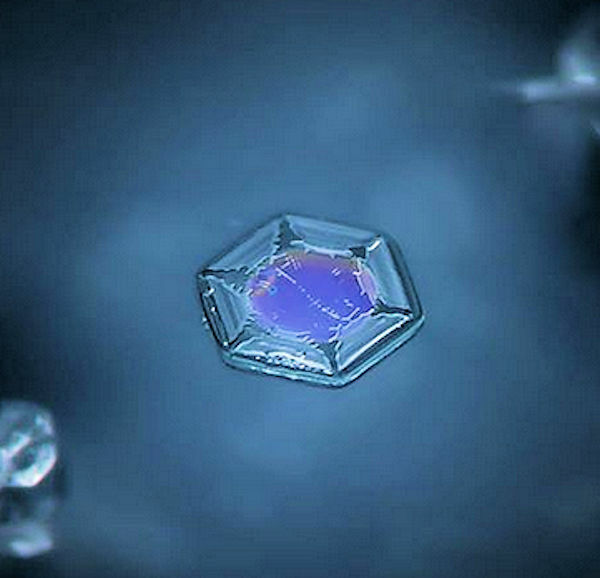 The cubit is the basic genome of Creation, and by its use the whole of Creation has been blueprinted and expressed. All Soul Atoms in Creation are embodiments of the Cube and Sphere principles but in cubit form. The presence of the Starr of David in the cubit, not seen in the Cube and Sphere itself shows that the Cube portion and the sphere portion in Figure 6 are held in perfect balance of their potentials according to the rule. The same proportionality is upheld in Figure 6, which is the money shot. Cubits can be expanded into cubistic matrixes as Figure 1 exemplifies. The rules for building cubistics matrixes such as Figure 1 is called 'Cubistics'. Planning out cubistic matrixes in principle according to purpose, is how Creation is upheld afterwards as expressions in practice according to need. The simplest cubistic matrix possible is a second cubit surrounding the first. The Figure 8 below is Figure 56 from Starrgram 27. Starrgram 27 explains in detail how the cubit is expanded from a single cubit into cubistic matrixes according to rule. Figure 9 below is another melted snowflake discovered on Google in Two thousand and thirteen. Which, except for a few ghosted out parts, nearly exactly reflects Figure 8. Please do not forget that the cubistic renderings of the Revelatorium were done as you see them now in two thousand and two, years before these third world outer world reflections even stated occurring. The Intelligent Design of Creation created these outer effects. The Intelligent Design was not created by an author in effort to explain them. It is not remarkable that such melted snowflakes and lens flares representations replicate the ruling of cubistic matrixes almost perfectly, Earth was installed with a third dimensional evolution one billion years ago founded totally on cubistic blueprints based entirely on the rulings of Cubistics. By fact of the Intelligent Design, the inter-dimensional laws of Creation are consistently the same throughout all dimensions from the fourteenth dimension on down. The rulings of the Intelligent Design are founded in the consciousness of the Holy Trinity in the fifteenth dimension. 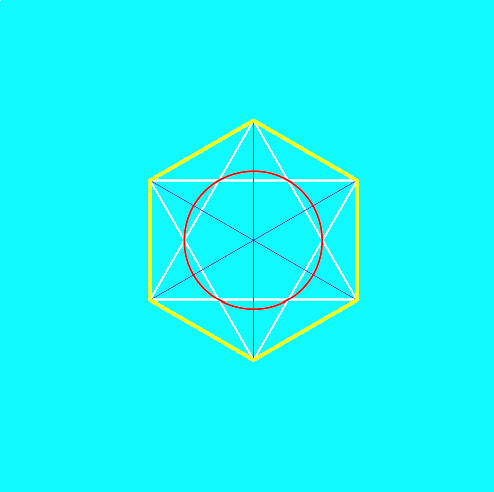 The Sphere and circle represent the Intelligence of the Father, the Cube and cube represent the Substance of the Mother, and the Blue lines and flattened blue lines represent the Energy of the Only Begotten Son/Daughter. 'As above, so below'. Creation is built entirely upon the Cubistic principles of the Intelligent Design formulated by the Creators to expand themselves in Reality. Creation is under production of their Consciousness on an ever expanding basis, and their consciousnesses rules the roost. If you are a regular book publisher and would like to publish the Revelatorium of Alpha and Omega or know of somebody who might, please send an EMAIL .